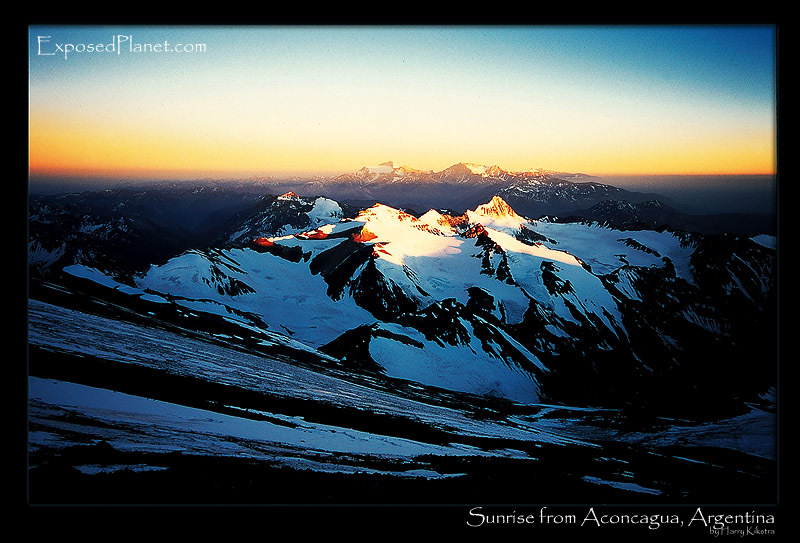 The story behind "Sunrise from the traverse on the False Polish route on Aconcagua, Argentina"
We’re back :) This is the view over the Andes mountain range as seen at sunrise on New Years day 2004. Shot from the traverse part of the Polish Traverse route on Aconcagua, the highest mountain of South America, at about 6200m/ 20,340ft, slowly illuminating this wonderful mountainrange. Shot on Provia slide with Eos3 and 15-30mm zoomlens, scanned later.